You can get John Paul II’s Biblical Way of the Cross here. 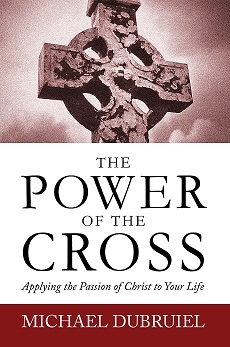 Here’s a free book that you can use for daily devotions during Lent, which begins on March 1, 2017. Filed under: Catholic, Dubruiel, Joseph Dubruiel, Lent 2017, Michael Dubruiel, Michael Dubruiel's Books, Mike Dubruiel | Tagged: Dubruiel, Easter Season Reflection by Michael Dubruiel, Joseph Dubruiel, Lent, Lent 2017, Lent Reflection, Michael Dubruiel, Michael Dubruiel's Book, Michael Dubruiel's Books, Mike Dubruiel |	Comments Off on When is Ash Wednesday?